When Hernán Cortés and his men arrived in what is now Mexico in 1519, they discovered a civilization as complex and developed as their own. By the time of the Spanish conquest, the Aztecs had already accomplished great things in art, literature, urban planning, government, and yes, food. In several reports to the King of Spain written in the year 1520, Cortés acknowledges the grandeur of the Aztec capital, despite incorrectly recording the city’s name as Temixtitlan instead of Tenochtitlan (ten-otch-teet-lan). Built in the middle of a lake like a North American answer to Venice, the city contained some 30,000 inhabitants, making it “as large as Seville or Cordoba” in Cortés’s time. The future conqueror, writing about a city he would lay siege to and destroy in the next two years, notes that “every thing that can be found throughout the whole country is sold in the markets,” and while there are many animals and plants he recognizes, alongside them are “articles so numerous that to avoid prolixity and because their names are not retained in my memory, or are unknown to me, I shall not attempt to enumerate them.”* From cornfields and mountainsides, steaming jungles and bitter salt lakes, the Aztecs gathered nature’s resources to develop a unique and complicated cuisine. Yet among all this variety, there was one notable thing missing from the Aztec diet: fat. The lack of fat is the major thing which separates indigenous from modern Mexican cuisine, and indeed, from almost all cuisines. It’s hard enough to imagine the Aztecs making the first tacos and tamales without limes, cilantro, or cheese (all brought to Mexico by the conquerors), but how could they have also done it without oil and lard? But no archaeological evidence has uncovered in Mesoamerica a cooking vessel capable of frying. In the Aztec chef’s repertoire, the closest equivalent to frying in fat was the technique used to make sweets like tzoalli, toasted seeds tossed over heat in a honey-based syrup. In her book America’s First Cuisines (1994), Sophie Coe reports that “the distaste of the American Indians for the fat of European animals is recorded over and over.” As late as 1937, a Mayan of Mexico’s isolated Lacandon people is recorded to have spurned an offer of coffee, out of fear that being a European drink, it might contain grease. This aversion to concentrated fat would become a cultural preference, but it springs from a matter of practicality. 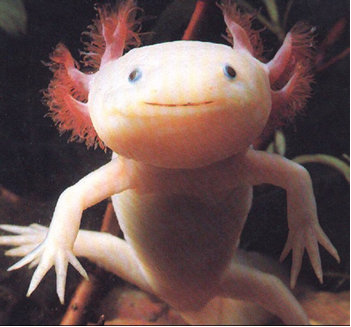 There were few large land animals known to the Aztecs. Between the dog, the peccary (a small, lean pig), the deer and the jaguar, there was no creature that produced consumable milk or had large deposits of fat. The only other option would be the human, and while the Aztecs did engage in cannibalism, it was an occasional practice reserved for religious rituals, not a dietary staple. There were also only a few plants in pre-colonial Mexico that could produce oil, namely avocado, cacao and pumpkin. The Aztecs ate these plants in many forms and seem to have been aware of their fat content (small quantities of oil might have been used as medicine or incense, and avocado was used to fatten up dogs raised for meat), but for the most part they simply made do without. Oil was not produced in large quantities from native Mexican plants until after the conquest, when Europeans craving greasy food began to experiment with local flora. Unable to fry, the Aztecs cooked their food in other ways. Roasting over an open flame or boiling in a pot were common, as was steaming, used to produce the ubiquitous corn dough tamalli. 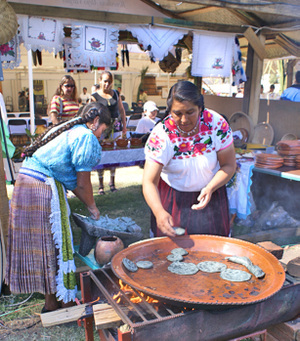 But most Aztec dishes were cooked (ungreased) on a flat, round pottery griddle called a comalli (Spanish comal), still used in rural Mexico today. It was with the comal that the Aztecs made one of their greatest contributions to the modern food landscape: the thin corn flatbread that they knew as tlaxcalli (tlash-cah-lee) and their conquerors as tortilla, Spanish for “little cake”. In Nahuatl (the Aztec language), tlahco means “middle”, and the best way to enjoy a tortilla was with something in the tlahco of it. The word tlahco for a filled tortilla is believed to be the origin of our modern “taco”. 16th-century Spanish chronicles such as the Florentine Codex (an ethnography of the Aztecs by Franciscan friar Bernardino de Sahagún) describe a dizzying array of possible taco fillings, all of which were also available as filling for tamales. A famished Aztec in the markets of Tenochtitlan could choose between vendors selling tacos filled with vegetables (beans, squash, tomato, nopal cactus), meat (dog, rabbit, turkey, eggs), or the stranger bounty of the lake itself (water-insects, amphibians, algae). All of these would have been spiced with the favorite seasonings of the Aztecs (salt and chili), plus indigenous herbs like pungent epazote and bittersweet hoja santa. The Aztecs raised turkeys for meat and eggs, but they were much leaner than our modern turkeys and belonged to a different species: the beautifully iridescent ocellated turkey (Meleagris ocellata). I used regular store-bought ground turkey, which has a higher fat content and a milder flavor than pre-Industrial fowl. Both tomato and chili pepper were known to the Aztecs, as was Kunth’s onion, but these and many other vegetables have changed and developed over time through selective breeding, making the 16th-century (or earlier) version quite different from the one we know today. Tomatoes, for instance, are described in accounts from the conquest era as sour and unsuitable for eating raw. Fresh epazote is strong and skunky (the Nahuatl name epazotl literally means “skunk sweat”), but dried it has a slightly bitter flavor reminiscent of tea. I would have preferred to use the fresh herb for the sake of both authenticity and flavor, but wasn’t able to find them. I hear you can get live epazote plants in some of NYC’s authentic Mexican grocery stores, so I will have to search another time. Core the tomatoes and peppers and peel the onion. Slice the vegetables into large pieces. Lay them flat-side down on a stove-top grill or on a bare burner with the heat turned low. Turn them with tongs occasionally until they become soft and you start to see charred black spots on the outside of the vegetables. Transfer the charred veggies to a cast-iron pan over medium heat. Break them up with a wooden spoon. Add the turkey, salt and herbs. Continue cooking and breaking things up with the spoon until the turkey has cooked through. 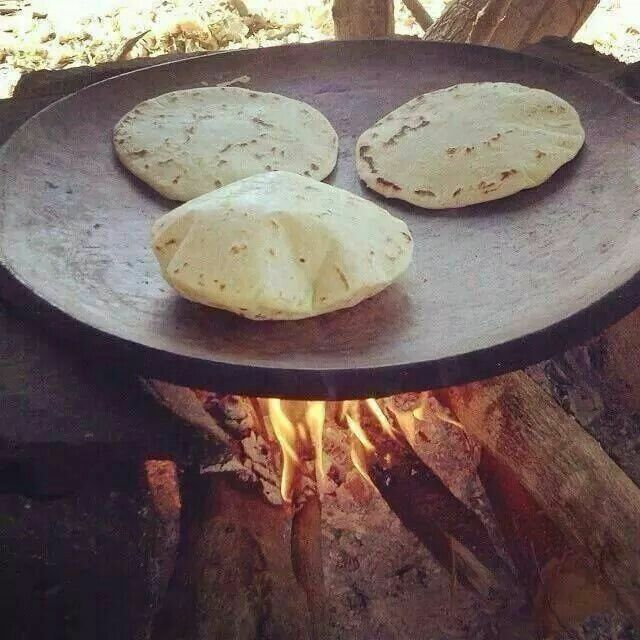 Next, cook your tortillas. The simplest (and most Aztec) way to do this is on a bare stove burner with the heat turned all the way down, flipping the tortilla constantly with tongs until black spots start to show on both sides, just like you did with the vegetables. Each tortilla will take only about 45 seconds total to cook, so be careful not to burn them. As you can only safely cook one or two tortillas at a time in this way, wrap the cooked ones in a towel or tinfoil so they stay warm while you are cooking the others. Serve the tlahco by spooning the meat mixture into the center of a tortilla. Add dried chilis and more salt if desired. This dish is not quite as moist or flavorful as a modern taco full of oil and spices, but there’s enough moisture from the vegetables and meat that it certainly isn’t dry. Those spices I did use give it a little bit of bitterness, while the tomatoes make it slightly sour. I’ve also made this with tomatillos in addition to tomatoes. VII out of X. *Further evidence of Cortés’ apparent difficulty with the Nahuatl language. Lucky he had La Malinche to translate for him…. I enjoyed the article and the references. Why did you choose to use ground turkey instead of “carne cortada” or cut meat. I wouldn’t imagine that the technology to grind meat was available back then.